I’ve been driving through most major European cities. Paris, Rome, and others are often used as examples of horror. 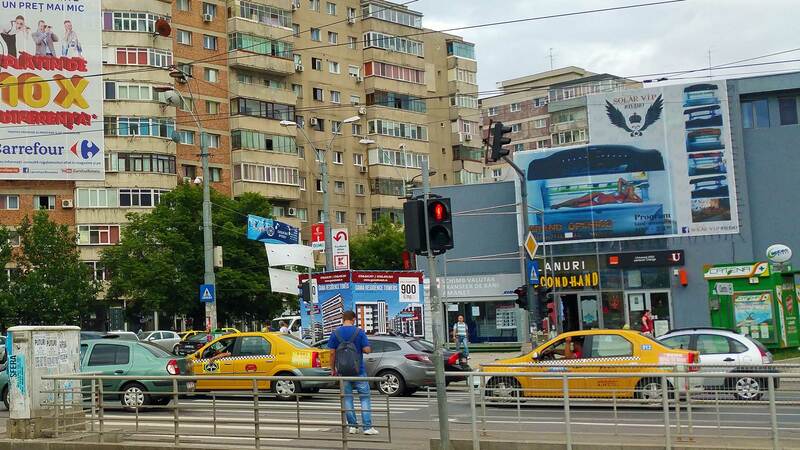 In my opinion, there are few cities that could beat the Bucharest traffic. Here are my observations and pictures. Road standard is very poor. 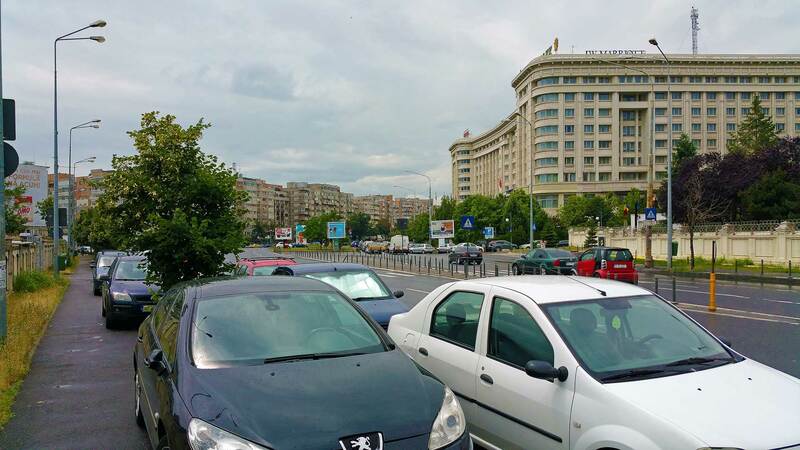 In Bucharest, it is not quite as bad as in rural areas, but Bucharest has a lot more cars. The roads are bumpy and traffic must constantly dodge the potholes which mean that you may be pushed away from the road. Equally bad is it with the road markings which are barely visible on the roadway. On multi-lane roads, this is a huge problem that contributes to many accidents. Drivers do not perceive that they change the file and using of flashers are limited. Series clashes due to wobbling cars crisscrossing between files often occur. When a bad traffic situation occurs, drivers often use imagination to make their way. I’ve several times been riding in the back seat of a Dacia taxi that’s driving towards the direction of the traffic. Everything to bypass a traffic jam. Everyone honking, all the time. Nobody cares anymore when someone honks. It has no effect and could therefore not be used to warn of danger. In the taxi you jump into at the airport, you will discover that the driver does not have a seat belt. You can be happy if the belt in the back seat works. Virtually no one is using the seat belt in Romania. 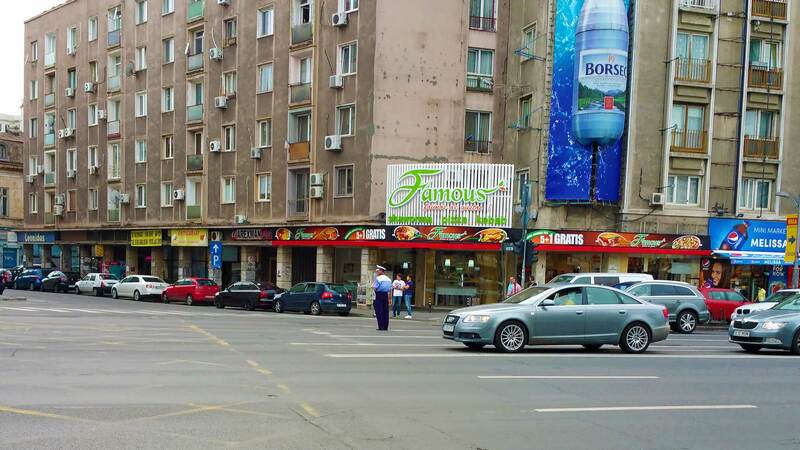 In Bucharest, the traffic lights seem to have only a position as an advice about to stop or not. As a pedestrian, you should certainly not rely on the fact that vehicles will stop for you despite the green light. If you got the balls, force and push your way behind the moving cars. Beware of other cars running a red light. At major intersections, they have tried to solve the problem by putting a policeman with a whistle in it. This has no or light effect. Here is the nastiest. Overtaking is possible regardless meeting or not. The oncoming car that may hold far out to the right in order not to collide. This may shock foreign drivers, who are not prepared to keep right at the meeting. Also, plenty of cars with low engine power models of the domestic brand Dacia are common and overtaking may take loooong time to do. 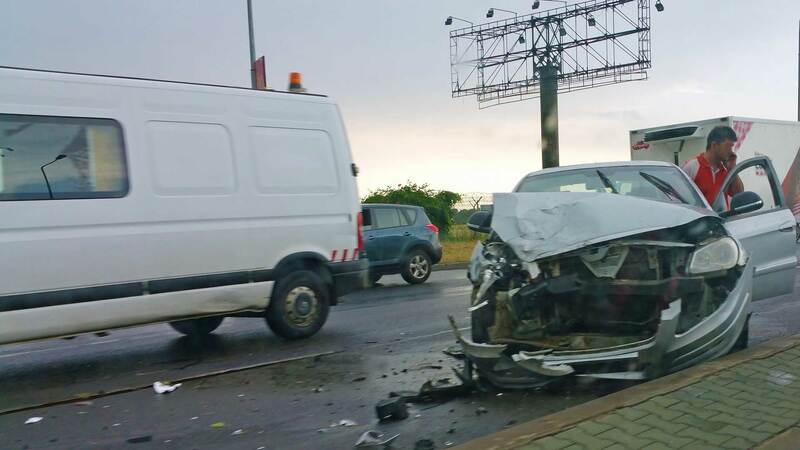 What is good about Bucharest traffic? When you read this, I understand that it sounds like a mess. But on the other hand. Romanian drivers are generally polite. Obscene gestures are unusual and people in the traffic really try to co-operate. What do you think? Is this description of Bucharest traffic fulsome?